You know what is embarrassing than a acne over your right cheek? It is the back acne! They can be really painful and embarrassing all the time too. Just because of the wrong position, where i mean due to their occurrence on our back, we tend to seem more tolerant as well as helpless. 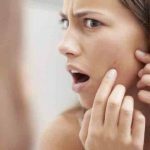 Generally, when body produces too much oil through the glands, oil gets released through the skin which clogs the pores which results in breeding of bacteria. 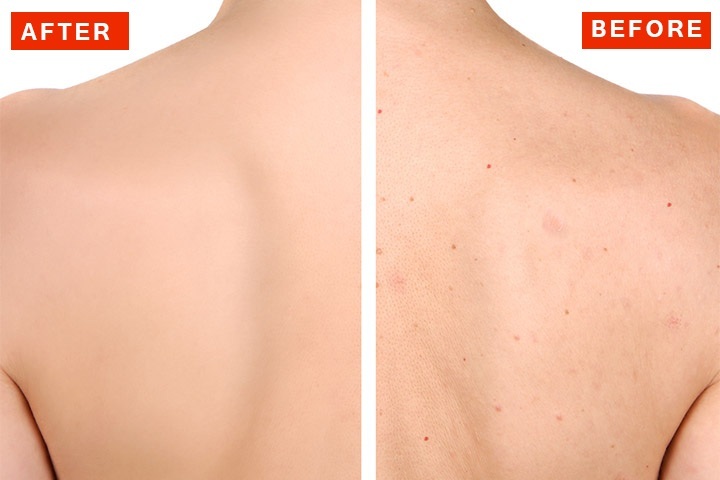 Due to bacteria and other toxins, it results in back acne. If you are victim of back acne, we brought you some solution to solve them all with herbal remedies. Let us read to know some effective ways on how to get rid of back acne naturally. Baking soda is an excellent ingredient that helps to treat acne as well helps to kill the bacteria breeding over your back. A good thick paste of baking soda can help to get rid of back acne soon. Mix 2 teaspoon of baking soda to 4 spoon of water and mix thoroughly. Make sure the mixture does not have a runny consistency. Now apply this paste over back and leave it for few minutes. The paste is thick which will not allow it to dry completely. So, you can wash off after warm water after 15 minutes. Apple cider vinegar helps to kill the bacteria over skin as well as helps to maintain the ph level on the body. The easiest way to get rid of acne over skin is add two-three spoon of apple cider vinegar to warm water and drink. Mix apple cider vinegar and water in equal portion and store it in a bottle. Now you can apply the mixture with the help of cotton ball and wear a loose shirt. Allow the vinegar to dry and then wash off with warm water. Aloe Vera is an excellent ingredient which helps to kill the bacteria and also heal the wound and scars on the skin. Due to anti bacterial and anti infection properties in Aloe Vera it makes it beneficial to be used over skin. Cut an aloe vera leaf and then scoop out the gel from it. Now apply the gel on your back and allow it to dry for few minutes. Wash off with warm water after few minutes. Due to anti bacterial properties, tree tea oil proves to be beneficial to be used over skin. Back acne can be completely cured with tree tea oil as well it helps to fade away the scars. Sock your body for 20 minutes. How it works: This will help to relax your body as well as treat the back acne. Due to astringent properties in lemon, it helps to boost cell growth in the body as well as kill the bacteria over skin. Here is how you can sure back acne with the help of lemon juice. Take a good shower and pat your skin dry with the help of a towel. 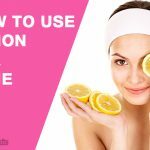 Now apply lemon juice over your back with the help of a cotton ball. Due to anti bacterial property in sandalwood, it is capable of killing the bacteria causing acne over skin. 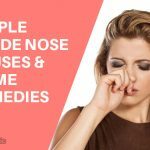 Take some sandalwood powder and mix it with few drops of lemon juice. 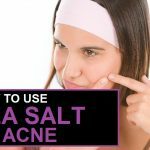 You can also add a pinch of turmeric powder that will help to heal the skin sooner and faster. 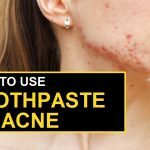 Mix all the ingredient thoroughly and apply the paste over acne. Wash off with warm water after 15-20 minutes. Lavender oil contain same properties like clove oil, which means it contains anti septic as well as anti bacterial property. one cup of sea salt. Take one cup of sea salt and add 10 drops of lavender oil to it. Repetitions: Repeat twice or thrice in a week. Tip: If you don’t have sea salt, you can use Epsom salt as an alternative. Take 1 spoon of grounded cinnamon and mix it with 2 spoon of honey. Now add 2-3 drops of lemon juice to the mixture and then apply on the back. Allow the paste to dry over skin and then wash off with warm water. Try to repeat the remedy for at least 3 times a week. Best result when used every day. Due to anti bacterial properties in the entire three ingredients it helps to treat the back acne. Cinnamon contains strong properties that help to kill the bacteria over skin and lemon helps to fade the scars. Peppermint contains menthol which is natural anti inflammatory and a natural analgesic that helps to reduce the pain as well as soothes the skin. Due to high proportion of menthol, it alleviates the bacteria from skin and results in reducing the swelling. Take a handful of mint leaves. Wash them and grind them in a grinder or mixer without adding water. 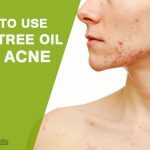 Now apply the mint leaves directly over acne and leave it for few minutes. Wash off with distilled water and continue doing this for at least a week. Repetitions: Daily for one week. Clove oil is natural anesthetic as well as contains anti inflammatory and anti septic properties. Applying clove oil over skin helps to repair the damaged cell as well treat the acne. mix 2-3 spoon of clove oil with 10 spoon of coconut oil. Now apply this oil on your back and leave it. Repeat the procedure every time before you sleep. Note: Here we recommend you not to use concentrated clove oil on your back.